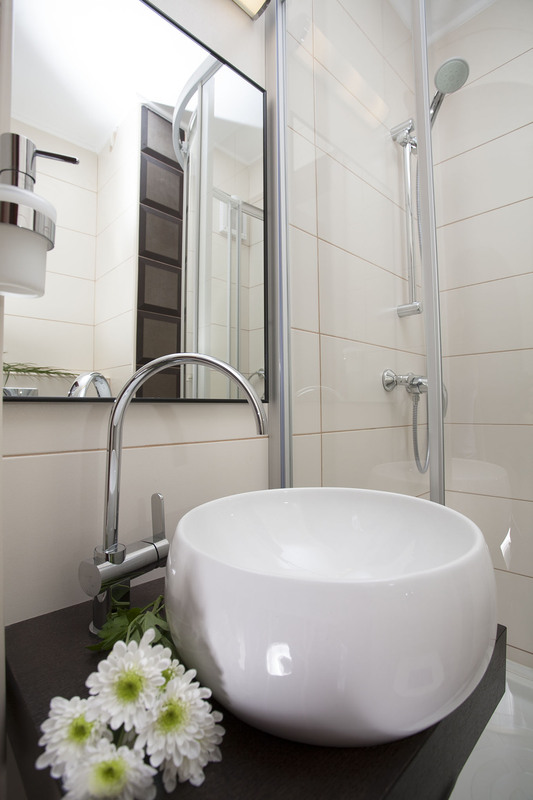 With this 2 room apartment, one of our prime short term rentals Bucharest, you will have the luxury vacation of your lifetime. 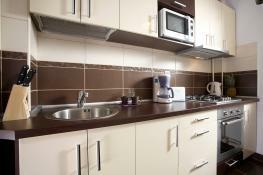 These ultra-lux and modern Bucharest apartments for rent short term are waiting for you in the Old City of Bucharest. Within walking distance to the commercial and business sections, restaurants and entertainment, your professionally designed apartment combines comfort and versatile spaces to create the accommodation that you need. 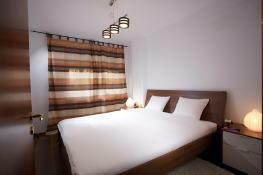 Our lux apartments Bucharest short term rentals are specifically designed with your enjoyment and satisfaction in mind! 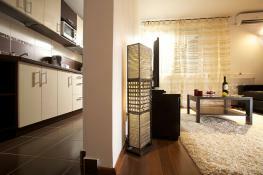 This 2 room apartment is modernly equipped for corporate travel or for a short term vacation with your family. 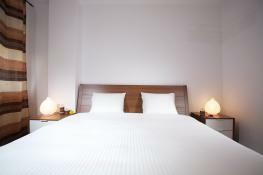 Located right in the heart of the city, this luxury apartment has exactly what you need to feel like home. Measuring 45 square meters, this spacious 2 room apartment offers modern rooms with hardwood floors and warm-colored fabrics. 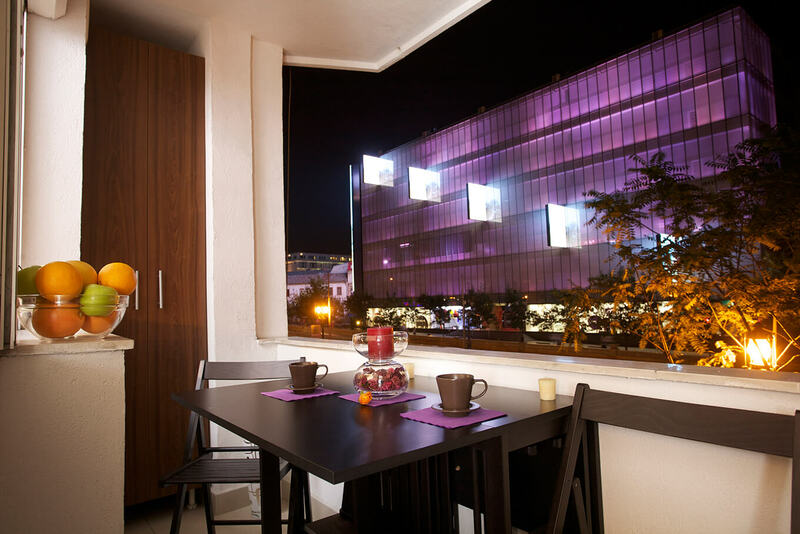 The living room features an pull-out, multi-function couch a flat-screen TV with satellite channels, a spacious work desk and free Wi-Fi. The bedroom has a spacious closet and relaxing king size bed and being completely soundproofed, you will sleep like a baby. Full refund upon cancellation when proper notice is provided.